Characters and quotes belong to the brilliant Naomi Novik. I was a glaring blot on perfection. But I didn’t care. I didn’t feel I owed him beauty. Because that’s what the story is really about, getting out of paying your debts. This week marks the release of Cindy Pon’s latest novel, Want. To celebrate, I’ve compiled a wallpaper post based on the cover of Want, along with a couple from her previous series, Serpentine. Although the publishing world is getting better every year in terms of representation, it’s still rare to see an Asian face grace the cover of any YA books. I’ve been loving the covers of Cindy’s more recent novels, gorgeously illustrated by Zachary Schoenbaum (for Serpentine) and Jason Chan (for Want). Cindy’s debut, Silver Phoenix, was also the first YA fantasy novel I read with a Chinese protagonist – I remember cherishing it for telling me a story that was at once fresh and nostalgic. Being able to see yourself is a powerful thing, and it was Cindy’s book that propelled me to begin my first (but very short-lived) book blog. I just celebrated my 2nd year of blogging on Read at Midnight yesterday, and I am glad to share my blog birthday with Cindy’s latest novel! The wallpapers are set for iPhone 6S, but should work across a range of smart phones. They’re free for personal use. All characters belong to Cindy Pon. Illustrations of the characters are by Zachary Schoenbaum (for Serpentine) and Jason Chan (for Want). Find more information on Serpentine, Sacrifice, and Want on Goodreads! If you follow me on any form of social media, you’ll know that I am pretty much obsessed with A Court of Mist and Fury. Many of my fellow fans have been asking for some wallpapers based off the series. To quote Rhysand, here’s to the dreams that are answered. Series and quotes belong to the incredible Sarah J Maas. Resolution is for iPhone 6 but should fit onto all phones. A Court of Thorns and Roses: Is anyone surprised I used a Rhysand quote in both these wallpapers? For this, I picked rose motifs for call-back to the Spring Court/Beauty and the Beast, some neat little arrows as a reminder of Feyre’s humble beginning as a huntress, and those masks the Spring Court denizens were stuck wearing. I totally mentally edited out the masks while I was reading the book, though. A Court of Mist and Fury: Like the rest of the fandom, this is my favourite quotes from one of my favourite scenes. Team Night Court forever. I used motifs of constellations and stars for obvious reasons. I thought it looked like she was winnowing with the feathers (use your imagination and humour me a little here). Let’s not look too closely at her hair/Illyrian leathers in this one though, guys. My redrawing needs work. If you’re after more Sarah J Maas related wallpapers, I posted some of the Throne of Glass series a while back here. I also started making the wallpapers for Assassin’s Blade and Empire of Storm tonight, but they didn’t really fit into the look of this post so I’ll save them for another day. Follow the blog for update as soon as they’re up! My other wallpapers for other series can be found here. If you love my stuff and want to commission me for a blog redesign, subscription box products, or any other graphics reason, please contact me here. I also have a Society 6 Store filled with bookish goodies. 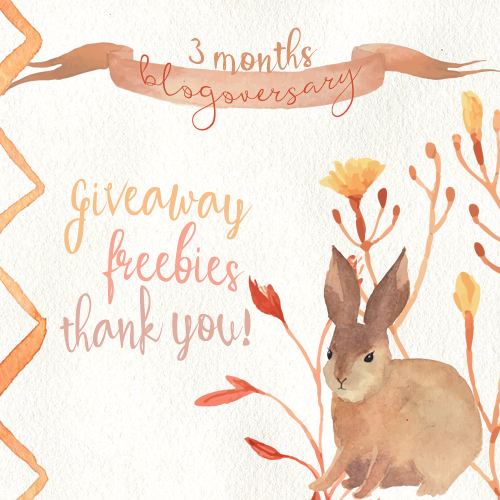 3 Months Blogoversary: Celebration + Freebies + Giveaway! 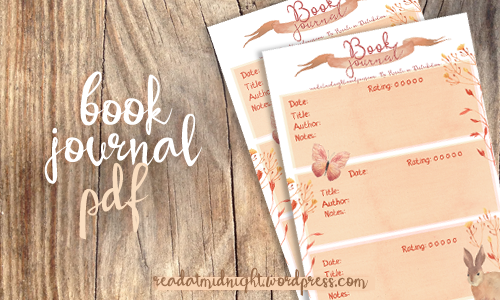 Freebie: Downloadable printable PDF of a bookish journal 😀 The beautiful Jeann of Happy Indulgence inspired this idea, as we are both CRAZY for stationery. I am entertaining the idea of opening an etsy shop offering these and other bookish stationery/prints! I would love to know whether you are interested. HUGS: You are all amazing, whether you are a regular commenter or perennial lurker! My first months blogging have been phenomenal thanks to all of YOU! FIRSTLY; the free PDF so you can record all about the books you have recently knocked off the TBR pile! I am working on an ARC version to share on another occasion! This is the stuff I wish to include in my possible Etsy store! Free for personal use! Please do not redistribute or resell! RULES: Open internationally. Runs until 13/10/2015, order delivered by Book Depository (INTL) or an Australian online store (Aussies). 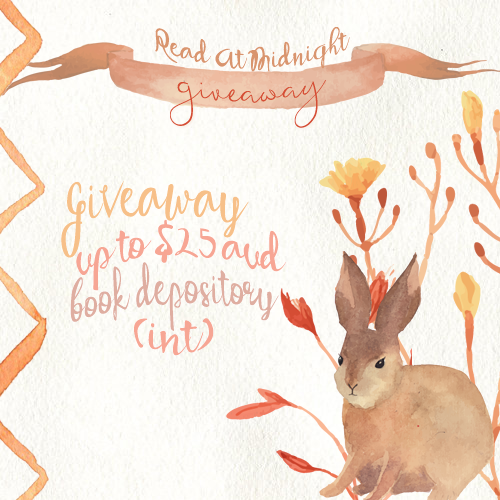 Please check your country is eligible via Book Depository.